Please take the time to view our terms of trade as this page contains important information. 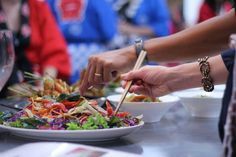 Please note that our Auckland cooking classes & team building auckland activities are currently becoming fully booked 6-12 weeks in advance. We do have an active waiting list, but recommend that to avoid disappointment you book your chosen class as early as possible. We do not accept bookings without payment in full. No refunds, credits or transfers will be given for cancellations for scheduled cooking classes auckland made within 48hrs of your booking. No shows or last minute cancellations are not refunded, transferred or credited. We reserve the right to cancel/postpone classes/ courses and will issue a full refund or credit note for a booking, with the exception of bookings made with gift vouchers, see below. We reserve the right to refuse bookings. Our booking system accepts bookings on a first come first served basis. When you have requested a booking it will be confirmed with an email from us. 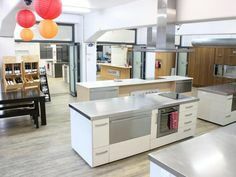 No further communication are required to be made by Sachies Kitchen, but please do feel free to call us to check your booking if you need to. When you complete your booking through this website you will be asked to check a box that confirms you accept our terms & conditions below. You will not be able to complete your order without checking this box. We have written them again below for your information. “I have read, understood and agreed to the terms & conditions of booking a class, event and/or buying a gift voucher. I accept that Sachies Kitchen and all its staff cannot or will not be held liable for discrepancies, mistakes, malfunctions or lost items of any kind relating to this order. I accept that all correspondence relating to this order will be sent to me by EMAIL to the address I have supplied unless otherwise specifically requested in this order by myself. Sachies Kitchen and all it’s staff are not responsible and cannot be held liable for my not receiving or reading such correspondence. 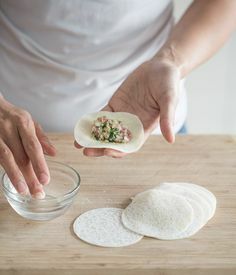 I also accept that Sachies Kitchen and all it’s staff cannot and will not be held liable for human error in the processing of this order and I have no rights for recourse or “change of mind” beyond those set out in the booking policy, once this order has been confirmed and accepted by Sachies Kitchen”. Gift vouchers are valid for 6 months from the purchase date. Classes must be booked & taken within that time. As our classes book out up to 12 weeks in advance we are not responsible if your chosen date is unavailable. We reserve the right to cancel/postpone classes and will issue a new gift voucher for the next available class. We do not issue cash refunds for gift vouchers in any circumstances although you can purchase goods in Sachies Kitchen with them. When you make a booking for a class/course on behalf of someone else, we will email you, the purchaser, a Confirmation of Booking. This will detail what you have booked and remind you of our Terms of Trade. The same Confirmation of Booking will be emailed to the recipient for their information. NB: It is the responsibility of the gift voucher holder to contact us to book their chosen class. We recommend they do this as soon as possible upon receipt of the gift voucher to avoid disappointment. We strongly advise you to ensure that you can make the dates & times set for your chosen course before you book your place to avoid disappointment. We do not accept bookings without a 50% deposit. Our booking system accepts bookings via the website on a first come first served basis. When you have booked your chosen course you will be emailed a confirmation. No further communication are required to be made by Sachies Kitchen, but please do feel free to call us to check your booking if you need to. No refunds, credits or transfers will be given for cancellations made within 48hrs of your event. We are happy to hold a chosen date for a maximum of 2 working days, after which, if not confirmed with a deposit we will offer to other clients without notice. For cancellations within 14 working days of your booking the 50% deposit will not be refunded or credited. For cancellations within 7 days, 100% of the class charge applies. Numbers for your class need to be confirmed 7 days before your class as no adjustments will be made to the final invoice thereafter – i.e. If you have booked & paid for 10 pax and only 8 pax attend then the balance invoiced will still be for 10 pax. Our payment terms are strictly 7 days net. Please let us know at booking time if this is contrary to your accounting system so we can organise another method of payment. 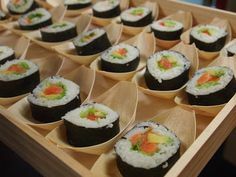 Upon paying a deposit to secure your booking you are agreeing to and accepting our terms of trade and the conditions that apply to all Sachie’s Kitchen and Venue Hire bookings. If a class is full that you would like to take, please send us an email and you can be put on the waiting list. Consent to receive emails and e-newsletters from Sachies Kitchen. 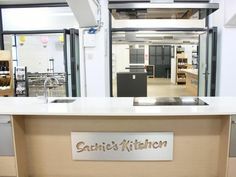 In accordance with the Unsolicited Electronic Messages Act 2007 when you check the “yes please, sign me up to the Sachies Kitchen mailing list” box on the check out page you are consenting to receive emails and marketing information from Sachies Kitchen. If at any time you do not wish to receive such emails you may unsubscribe from our database electronically or contact us in person to remove your details manually. We take spam issues very seriously so please contact us immediately if you change your email address.